Everybody’s had that bad experience staying at an overpriced property, never using any of the bells and whistles. Red Roof understood that most people will be more than happy with a clean, spacious room, comfortable bed, microwave and a fridge, nice desk area and Wifi. This smart focus on customer needs has landed them at the number #1 spot in the Economy hotel sector for 7 years in a row. In the picture above we have Sugar from Golden Woofs, one of my favorite pet blogs. 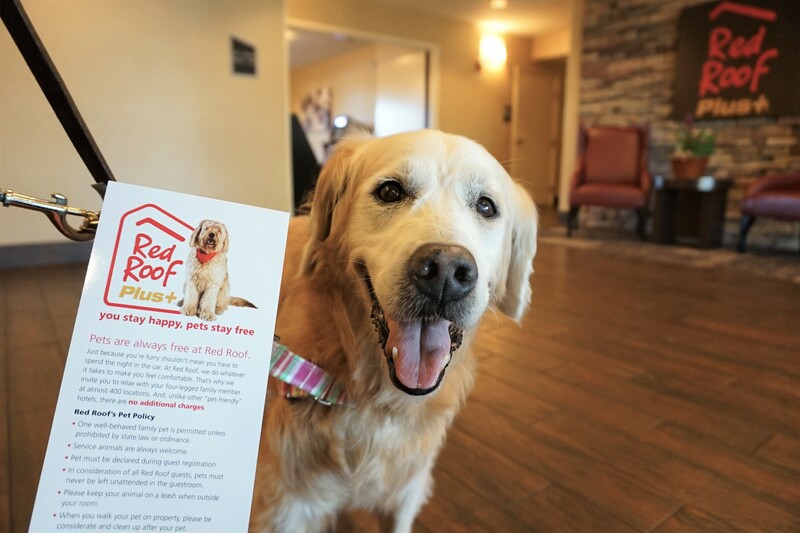 At the May 2017 BlogPaws pet and social media conference, Red Roof Inn sponsored Sugar as one of its models. Please keep your animal on a leash when outside your room. 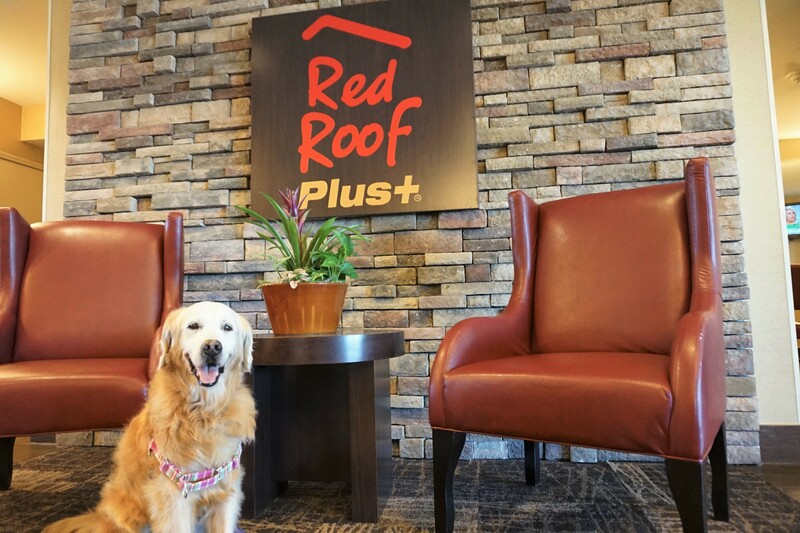 In consideration of all Red Roof guests, pets must never be left unattended in the guestroom. When you walk your pet on property, please be considerate and clean up after your pet. 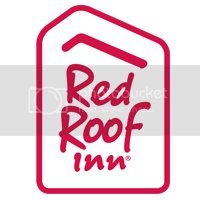 Another special Red Roof feature is its RediPromise, which matches your room price if you book a reservation and within 24 hours you see the same room offered for less on another website. By simply filling out your claim within 24 hours, Red Roof gives you an additional 15 percent off. They understand that there are few things more frustrating than making a booking and immediately finding a cheaper rate on a discount website. Finally, Red Roof Inn is also making inroads into technological innovation. In 2014, Red Roof shelled out $150 million in property renovations. Their new NextGen rooms all include flat screen TVs with 36 HD channels, vessel sinks, wood-like floors, and additional electrical outlets. Since their launch, NextGen rooms have experienced double digit sales growth year after year, and are now giving way to Red Roof PLUS+, properties with all-NextGen rooms, and even more amenities. PLUS+ is designed for guests willing to pay a slightly higher price point, while still seeking value and an enhanced experience. 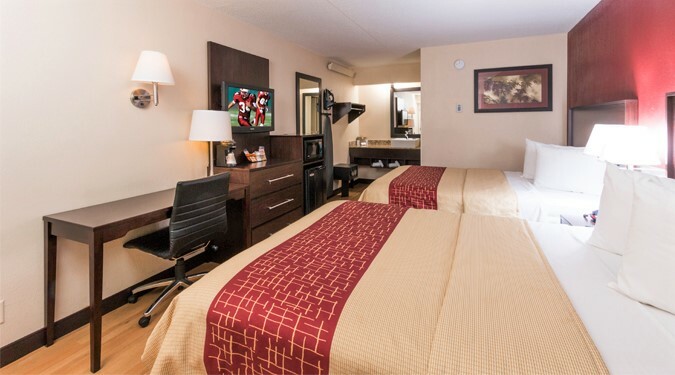 Red Roof Inn is simply a happy place, between their courteous and warm staff of pet lovers and great deals. 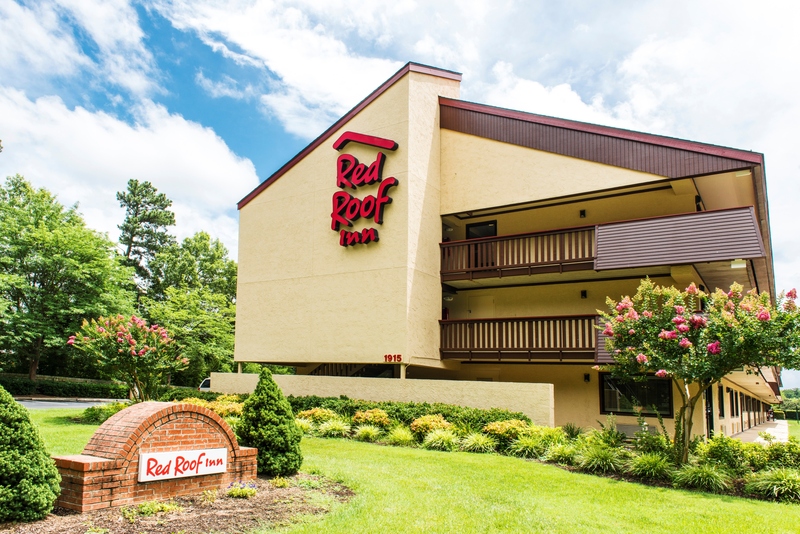 As a human dad to 6 dogs, staying at Red Roof Inn is always an easy choice for our family. Get social with Red Roof via their accounts on Facebook, Twitter, Instagram, Youtube and of course, their site itself, www.redroof.com.